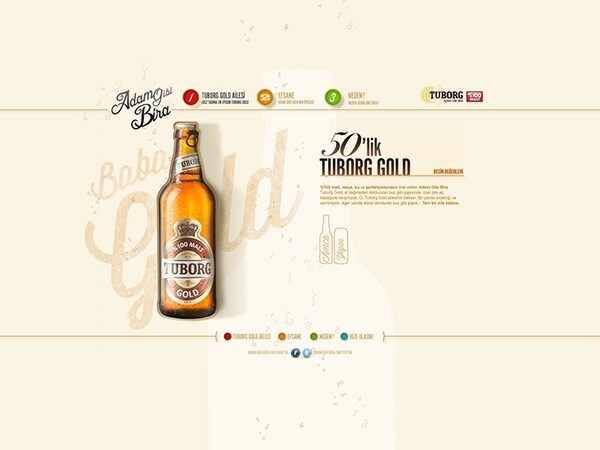 Dynamic Website design for Tuborg Beer Company for the Turkish market. 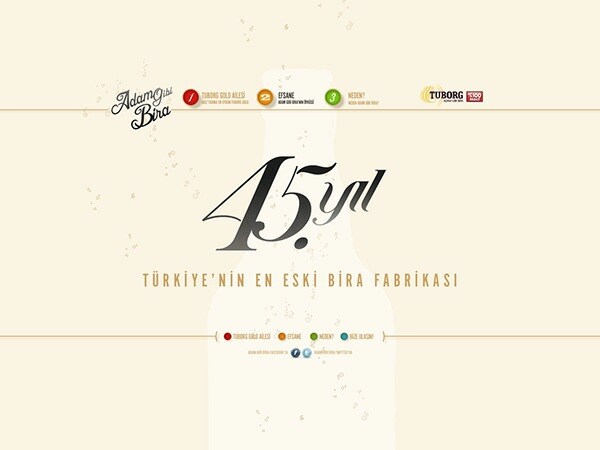 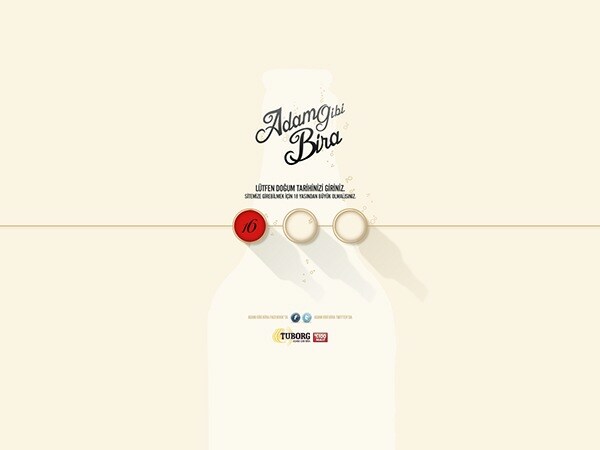 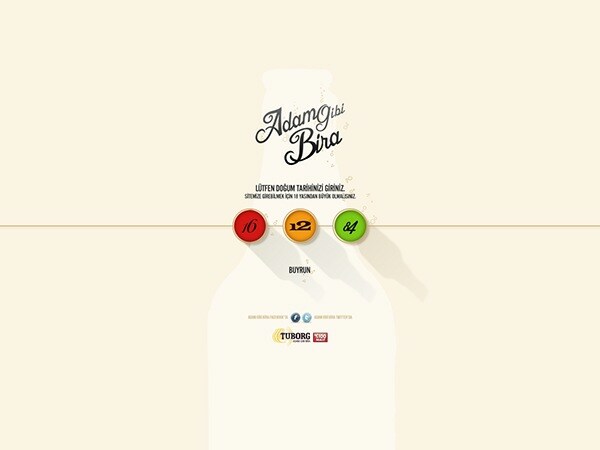 After verifying your age, you are allowed to view the site and there you get to learn the family of their beer line, the 45 year history, the heritage of the brand on a timeline. 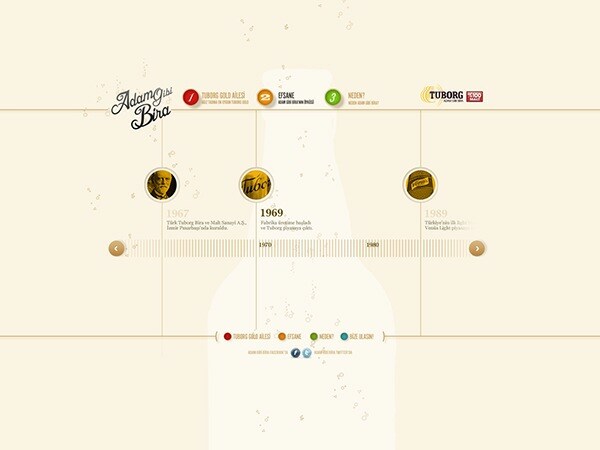 While you interact with the website, beer bubbles are slowly raising up to the top of the page, creating an engaging live feeling.